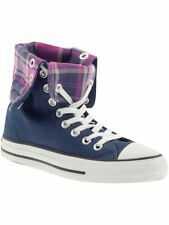 Converse All Star NAVY BLUE - WHITE BLACK TRIM TODDLER SIZE 8 C "REAL CUTE PAIR"
I HAVE A NICE PAIR OF PRE OWNED SHOES - ECU - Converse All Star NAVY BLUE - WHITE - BLACK TRIM TODDLER SIZE 8 C "REAL CUTE PAIR OF SHOES. I AM SORRY I DO NOT HAVE THE ORIGINAL BOX. "THEY ARE IN GREAT SHAPE A NICE PAIR OF SHOES.". Converse All Star Low Top Baby Girl Shoes Pink has some fading Laces included Size 5 Infant . Condition is Pre-owned. Shipped with USPS First Class Package. 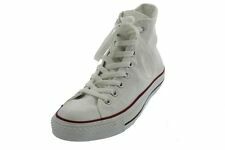 Converse All Star Toddler Boys' Sneakers Size: 8. Condition is Pre-owned. Shipped with USPS Priority Mail. 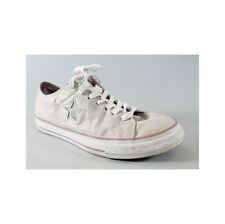 You are bidding on a pair of Converse All Star low leather sneakers/shoes, toddler boy or girls size 8. Leather upper with rubber toe box, surround and sole. White. CONVERSE ALL*STAR label at top of tongue and back of heel. Very minor wear at back of heel label. See photos. Great, sturdy sneakers! Shipped USPS Priority Mail. NEW CONVERSE. we don't strive to profit on S&H, but we attempt to be fairly accurate as to not lose money. thick tongue---tie/knot the laces to suit and they are an easy slip on shoe. this formula includes lots as well. Size 6 Grey Canvas Toddler Girls Shoes CONVERSE All Star. Condition is Pre-owned. Shipped with USPS Priority Mail. Up for bid are toddler girl size 6 converse all star low top shoes. EXCELLENT PRE OWEND CONDITION only worn a handful of times. Please message me with any questions... thanks for looking. ALL STAR CONVERSE! ADORABLE LITTLE BABY CONS! Converse All Star Baby Size 2C Awesome!!! The uppers look new, the soles have no wear and the footbeds are spotless. These are really great shoes! Low Top All Star Converse Sneakers Size 5 Toddler Navy Blue. Slight discoloring on the side overall condition is very good. Has been machine washed prior to sale. Condition is Pre-owned. Shipped with USPS First Class Package. This formula includes lots as well. we don't strive to profit on S&H, but we attempt to be fairly accurate as to not lose money. Converse All Star Chuck Taylor Size 9 Toddler Shoes Hot Pink. Condition is Pre-owned. Shipped with USPS First Class Mail. CONVERSE CHUCK TAYLOR ALL STAR SHOES / ( SIZE 7 ) TODDLER CHILD. Condition is Pre-owned. Shipped with USPS Priority Mail.